A lot of internal code refactoring. The core functionality and database hasn't changed, everything should work same as before but navigation and look and feel is slightly different. A lot of of the code refactoring work will make it easier to maintain and enhance as time goes on. I still have a todo list for the night calculator code, this refactor is the first step. Added maintenance tab to flights submenu. Big redesign of flight time calculator and night time calculator. Flight calculations are now shown when you add a new flight that uses time in and time out. Added columns SingleEngine, MultiEngine, Jet, Instrument to excel Excel Report. Updated airport editor (link on bottom of utilities -> airport browser) for adding user defined airports. Graphical reports under detailed reporting area are now working again. Updated email sender to prevent problems with registration emails not being delivered. Fixed bug where changing flight classification from Solo to PIC wouldn't save correctly. Updated NetLine/Crew CrewLink importer to use PIC or SIC default rules and default zula or local time from user settings. Updated NetLine/Crew CrewLink importer to save data instead of preview import only. Added day landings to 8710 flight report. Split landings in 8710 flight report to provide more detail. Added Pilot Flying Filter for 8710 flight report. (filters flights to show data only for flights with day landing or night landing logged to determine which flights you were pilot flying.). The logic is if you logged the landing, you were the pilot flying. This should work for most flights. I guess there may be some instances where you did a few landings and somebody else did some landings on the same flight and this does not try to handle that scenario. Fix end date for batch delete to span more than 10 years. Fix end date for batch time converter to span more than 10 years. Fix solo column in PDF report. Changed default endpage to 200 for PDF report. Updated display of landings and night landings in exporters and reports to show a blank instead of a zero so it's easier to identify flights that have these entries logged when you are viewing. Reorganized import menu to allow space for new importer. Added beta NetLine/Crew CrewLink importer. NetLine/Crew CrewLink is used by many airlines such as Lufthansa for managing crew schedules. Current functionality is limited to parsing NetLine/Crew CrewLink PDF files for compatibility testing. Save functionality will be added shortly. If your airline uses this, please help us test it so we can move forwards with this feature. Added Cross Country input field to flight Quick Add form. It shows up under the column XC (abbreviation for Cross Country) in the PDF report. I think this slipped through the cracks because most of the users on this website are airline pilots. Updated airport database for more accurate timezone information. Can now search by IACO or IATA codes for night lookup calculations and airport browser. Rewrite of night calculation code. Added self-healing feature for night calculation. If one of the airports in a flight legs field is found in the database but the other airport is not found is not it will use the timezone from the airport it did find to calculate night values. This works great for flights within the same timezone. For longer transcontinental flights it will use the time zone of the known airport until night occurs then log the rest of the flight as night. It is not smart enough to know if you are flying over the north pole between two continents during daylight. The workaround to this is to just add the airport to the database. Added ability to add custom or new airports to database. From the airport browser (under utilities) a link will appear if you are logged into the system. Updated night calculators and detailed report to enable 2011 and beyond year selections. Before max date for date selection on reports was 2010. Updated to current year to support 2011 and beyond. The Simulator field was previously named Trainer. Some people confused this with training aircraft rather than Flight Training Device or Simulator. As a result some of the aircraft types have the trainer field set incorrectly such as PA28-140 and C172. These aircraft types have been updated. Added new Layouts option. In upper right hand corner of screen you can choose between standard and mobile. Mobile mode is more compact and resizes to fit mobile devices like ipad, iphone and android phones. Added new "Custom1" numerical field. You can set the label of custom1 field (example: Mission, invoice, passengers, weight). in the settings. Custom1 field will appear in HTML Report, Excel Report, and Expanded PDF report. Custom1 field will not appear in any reports or form until you assign a label to it. Fixed bug where FAA times with a fractional point would render up as squares on PDF report. Added User Option to auto increment default flight number for new flights. So if your last flight number was 50, it would default to 51 for new flights if this option is selected. Added User Option to change default sort order for flights in flight browser to newest first or oldest first. Fixed bug for flights into sunset - would calculate night time incorrectly under certain circumstances. Fixed but where when editing a flight, if you continue to enter another flight without going back to flight browser it would update the previous flight instead of making new flight. Added feature to store flights as using either Local or Zulu times. Added "Time Converter" feature to convert logbook flights between Local or Zulu times. This is under the user settings area. Improvements to "Recalculate Flights feature" for night time recalculation. Overhaul of night calculator. More reliable now - also more detailed information provided. Updated PDF report to support UTF-8 characters for translation. Added Recalculate Flights feature - from under the user settings menu you can recalculate block time, night time and night landings for all flights that have time in and time out times entered. By default it will only recalculate your flight times and not save them unless you select the the "update flights" option. The night calculator is still a bit experimental - some users have reported issues when doing long range flights across date lines or multiple continents. If you keep logging your time in and time out block times you can always recalculate the night time as the night calculator becomes more accurate. Enhancements to Night Calculator. Night calculator currently works based on Local Time. Soon it will have option for zulu or local times. Made report generation more robust to handle case if user tries to generate report and no flights are entered. Added timein timeout fields to PDF report. Added "Last Used" field for quick input role column. Added padding for timein and timeout values. Added simulated instrument field for quick flight input form. If adding time with quick add or batch add and aircraft type is simulator - time is reset to zero so simulator time isn't counted as flight time. Adjusted PDF report date range to include end date rather than only flights before it. Updates to support translation to different languages. Updates to CVS import function. Improved validation of aircraft registrations during flight entry. Improved handling of roles in quick flight input form. Fixed bug where intime entered as 0000 would fail. Enhancements to night flying calculator. Improved formatting of airport browser. crewlogbook.com web server has been upgraded. During the transition you may have seen a message saying the server is being upgraded. All data has been backed up and moved to new server. If you can read this message, it's from the new server. Added approaches field to flight quick add and html report. Added all ifr option to user settings. Some countries log all flight time as IFR if on an IFR flight plan instead of just time actually flying by reference to instruments. Renamed type to role in quick batch add form. Added night landings to quick flight add form. Changed radio buttons to dropdown box for role types in flight quick batch add form. Some pages had right clicking disabled. Now it is enabled it for user reports and flight browser. Changed sort order for aircraft types when adding new aircraft registration. Added link to add new aircraft type when adding new aircraft registration. Added manufacturer label to dropdown list of aircaft types when adding new registration. Redesigned form for adding new aircraft registration. Major cleanup of aircraft types. A lot of duplicates like C172 and C-172 were merged. Added aircraft model field to excel report. Renamed aircraft type fields: Name -> Nickname, Trainer -> Simulator. Before it might have confused some people. Nickname now optional for new aircraft types. Enhanced 8710 report to show total experience, and experience within the most recent year, recent 180 days, recent 90 days, and recent 30 days. Added Aircraft Type filter to 8710 report. DualRecieved typo changed to DualReceived. Updated sorting of aircraft types, registration and manufacturer browser to alphabetical order. Updated default order of flights to oldest to newest by flight date. Fixed some bugs in graphical reporting. Updated .XLS spreadsheet export to reflect user time format preferences. Cleaned up formatting of flight editor form. Add leading zero to day and month value of date in flight browser view if single digit. Changed flight browser to display role (PIC,SIC,Instructor,Student,Solo) instead of individual columns. Renamed quick input to batch add. Rearranged menu items. Updated Flight Editor Form. More streamlined and compact. Added more data validation logic to flight editor form. Added default role selection in user control panel PIC,SIC,Student,Instructor or Solo. Added option to preselect last used aircraft when adding a flight. Added option to preselect last used airport when adding a flight. Added utility to batch delete multiple flights. You will be asked to confirm twice before any flights are deleted. This is useful for clearing all the flights in your logbook or deleting bad data if an import doesn't work properly. 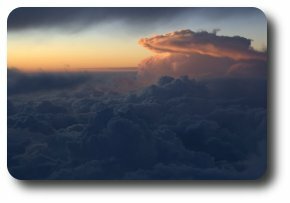 Updated sunrise and sunset and night time calculators. Started airport database enhancements... work in progress. Redesigning sunrise and sunset nighttime calculator... work in progress. Improved layout of 8710 report. Fixed formatting of landings not to include decimal point in 8710 report. Enable PDF Export to specify start page range. Added User voting feature in My Account area. Updated interface for solo flights. Enabled report generators to select dates prior to 2000 if you have flight records that far back. Renamed graphical reporting to detailed reporting. 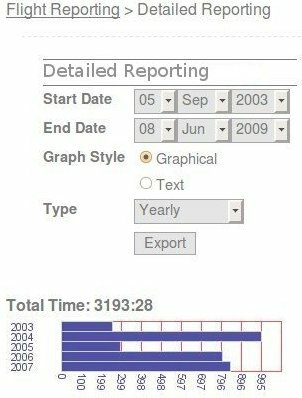 Enhanced detailed reporting to support date ranges. Default range is the date of the first entry in your logbook to todays date. Updated detailed reporting to support both ICAO (1:30) and FAA (1.5) style time formats. Refactored some internal components. everything should behave the same as before. Changed sort order on flight history browse to ascending to better mimic paper logbook. Some people calculate night time manually using a different method than the automatic method provided. Added night time calculation user setting. Options are manual or auto. Reordered fields in quick input table. Changed default pdf export report type to condensed. Added user preferences control panel into flight menu. Added ability to select FAA style hours.fraction (1.5) or ICAO style hours:minutes (1:30) for user logbook. Updated PDF and HTML and 8710 reports to reflect users selection. Excel report export feature only exports times as total minutes for now. Have multiple paper logbooks with different number of rows per page? In China, CAAC licensed pilots are required to carry a CAAC issued pen and paper style logbook with them during each flight. These pilots may have an electronic master logbook such as crewlogbook that contains the same information as the CAAC issued paper logbook but the master logbook has a different number of rows per page and may contain a lot more data. In order to verify consistency between logbooks and assist in accurately adding page totals you can now select a date range for the PDF report using start date and end date. You can also specify the number of rows for the PDF report. This is useful so you can generate a PDF report to match your old fashioned paper logbook exactly, but still generate a more detailed master logbook that contains a lot more data. When generating the PDF report the end date will default to today, and the start date will default to the date of the first flight you have on record. For now the reporting is still done using FAA hours.fraction (1.5) style. Soon you will be able to generate reports using either style. Updated CVS importer to use new number input capability. Added simulated column to html report. Added actual and flight number to quickinput form. Updated webpage look and feel to new cleaner style. As features got added the menus became cluttered. Menus have been reorganized. Added breadcrumb style navigation to page headers. Added quickfill function to rapidly enter flight times. Enter aircraft registration and date of flight once and subsequent flight entries will use previous information without having to reenter. In the example below there are three flights entered. They are all on the same date and in the same aircraft, only the times and legs are different. Using the quickfill feature will eliminate the need to reenter the redundant information. Quickfill can be accessed under the flights menu. Updated database to store times as hours:minutes (1:30) like the rest of the world uses instead of hours.fraction (1.5) like FAA. Currently reporting is still shown as FAA style but will soon have the option of being able to choose. All current users should not notice any difference for now. Updated webpage look and feel to new style. Fixed bug in night time calculator to continue gracefully if airport code isn't found in database. Increased date range dropdown box to allow for older flights. Added new 8710 report under summary menu to show flight time summary information required on the FAA 8710-1 Airman Certificate or Rating Application such as PIC and SIC Night Takeoff and Landings. Before this information was not displayed in summary form and had to be calculated manually. Modified PDF report to include pilots name on cover page and signature area. Update night landing calculator - night time is automatically updated now when you enter a new flight time using in and out times. Auto night landings - if you enter a landing for a logbook entry and use in and out times the landing will be saved as a night landing if appropriate. Added certification statement on PDF report for owner to sign for each page. Added jet, multi, approaches, tailwheel columns to PDF report. Added ability to export PDF reports as either one page (condensed) or two page (expanded). Up until now, new users had no way to add new aircraft and registration numbers to the database which made the webpage kind of unusable. Now you can add your new aircraft and registration numbers. Added ability to add and edit aircraft types and registration numbers. Worked on PDF export enhancements. Added feature to select which PDF pages to export. 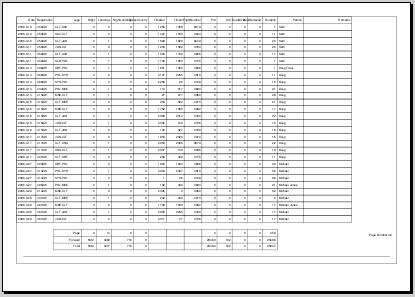 Added Aircraft type column to PDF report. Adjusted widths of PDF report columns. Added welcome back greeting to homepage if authenticated. Fixed login bug - user couldn't authenticate when trying to access non SSL resource. PDF Export is live now. You can download a PDF report of your logbook data. Fixed a permission problem where certain users couldn't view reports. Added a list of airports to do lookups of latitude and longitude for calculating night time. Added a sunrise and sunset calculator which will be used in conjunction with the airport database to calculate night time based on in and out times for a flight. Enabled SSL for secure login and encrypted browsing in certain member areas such as changing password and personal information. More progress on PDF export feature. Page breaks, started work on flight summary data for each page. Started working on PDF export for paper print out. Rearranged the menus slightly. Self Registration for user accounts is working now but I'm not fully tested so I'll hold off making it public for now. Fixed catchup logic. If you had flight entries to the middle of a month or year, it wouldn't display a summary for that month or year. Now the summary for a month or year is shown in the report section even if that month or year isn't finished. Changed report by classification to sort by time classification. Added new reports. Flight time can be catagorized and view graphically by make and model, registration, history, and classification. It only showed total time before, now you can can get a breakdown of multi, turbine, ect. Added capability to import CSV file into database. TT is calculated from timeout to timein (block time) if provided. Added "contact us" feature so people can send feedback. Server has been upgraded and generate graphical report feature is working again. Cleaned up flight backup table report. Added capability to edit and delete flights. First version of web based logbook online. Supports user accounts and basic logbook data entry. 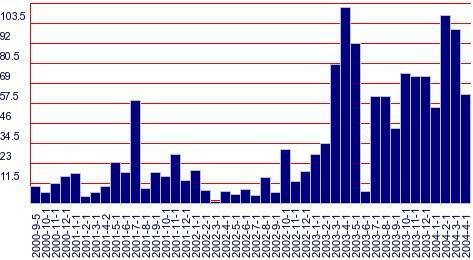 Has basic reporting enabled showing TT by breakdown of aircraft registration. It will probally be a few weeks but I am planning on adding lots of graphical reporting and statistics. When entering a flight, if you enter in and out times instead of duration of flight it will calculate duration of flight and fill in the PIC or SIC fields for you. For now, there is no capability to enter parameters about the aircraft for each flight such as if it is multi or single, turbine or tailwheel. The plan is to do a lookup of aircraft type based on the aircraft number and calculate the classification for you. There are some sample classifications on the Aircraft Types main menu. The tailnumbers will be linked to the aircraft types so you don't have to enter information about the aircraft for each flight, just the tailnumber. I'm planning on adding some functionality to calculate the night or day time based on the times entered. Also in the future self registration is in order once the bugs are worked out.